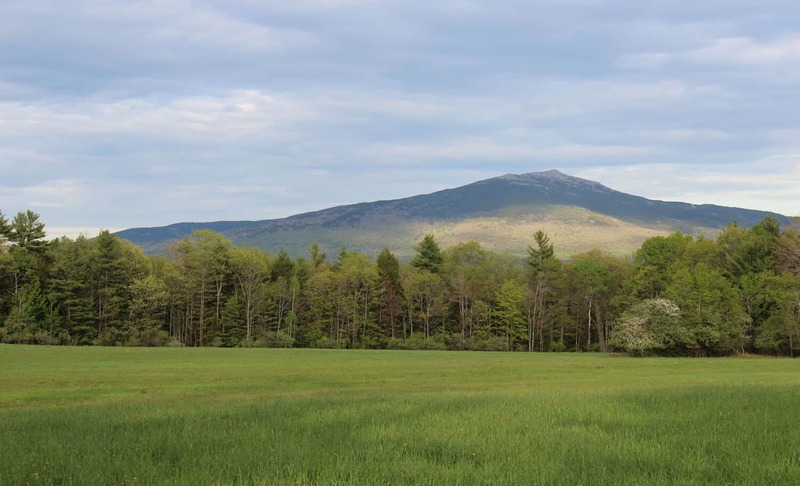 Last blog we talked about a few of the events that make the beginning of summer a special time here in the Monadnock region, but there’s so much more to do here now that the weather really feels like summer. We are so very lucky here to be able to enjoy all of the outdoor activities all summer long! 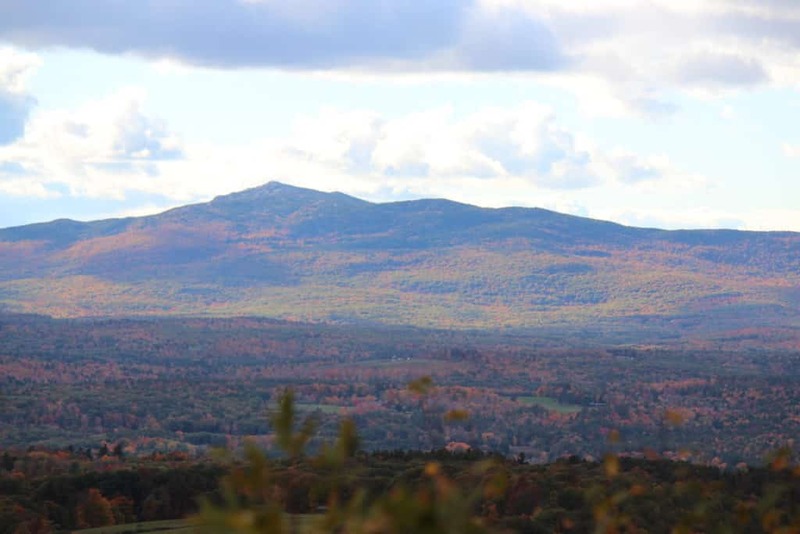 From a casual stroll to day hikes up Mount Monadnock, bike rides and more, there’s something to do for the whole family. 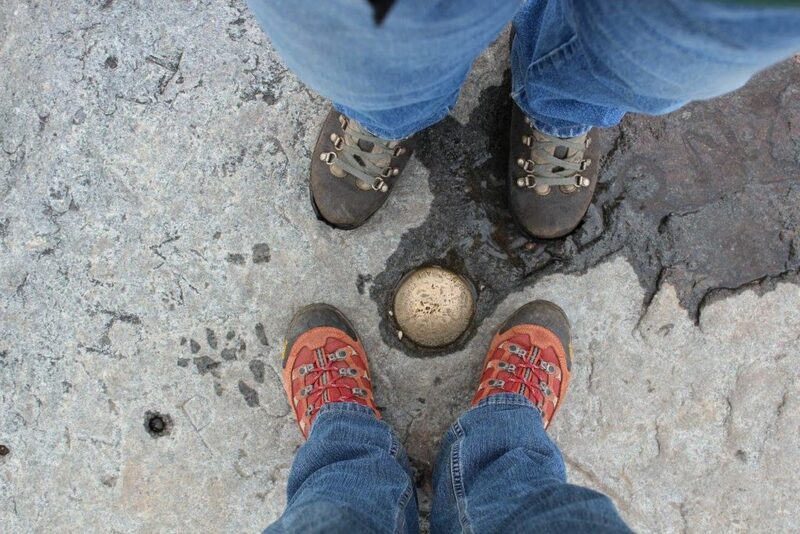 Just taking a look at Mount Monadnock on a clear day is enough to make any of us get the itch to climb it. Named by using the Abenaki word to describe ‘mountain’, Mount Monadnock has inspired the likes of Henry David Thoreau and Ralph Waldo Emerson, as well as many people who make their way up its trails. One town over in Jaffrey, NH, the picturesque mountain is a perfect day hike. With several paths heading up to the summit, anyone interested in climbing it will find varying levels of difficulty as well as an extremely rewarding view once they reach the top. Heading out in the morning to do the bulk of the climbing while the temperatures are still cool gives you a chance to enjoy the view once you finish, and if you bring your lunch you can have a little picnic before heading back down! There are several trails that you can take to make your way to the summit. Mount Monadnock State Park, located just off Dublin Road in Jaffrey, provides access to the most popular trails. From the Park Headquarters, the White Dot trail is the most direct route to the summit but provides some steep sections along the way. For a change of scenery, hikers then have the option to descend via the White Cross Trail. The peak of Mount Monandock! You will also find plentiful parking at the Old Toll Road / Halfway House trailhead located just off Route 124, west of Jaffrey Center. The trail starts out wide and open for the lower portion up to former location of the Halfway House hotel. This is a good spot for the views to the west and offers a turn-around point. Alternately, the White Arrow trail proceeds to the summit. The Dublin Trail starts not far from Dublin Lake and approaches Mount Monadnock from the northwest, while the Marlboro Trail begins on Shaker Farm Road in Jaffrey. Both trails offer a hiking experience that feels more remote. With these and several other options for trails, you can easily find one that works best for you and enjoy this beloved mountain a variety of ways. If you’re interested in making this an even more special occasion, we’ve got you covered here at the Jack Daniels Inn. Be sure to check out our exclusive Hike the Mountain Package: one night’s stay at the Inn, two comfortable wicking shirts, one laminated trail map and dinner or breakfast at participating restaurants in town! You can learn more here. 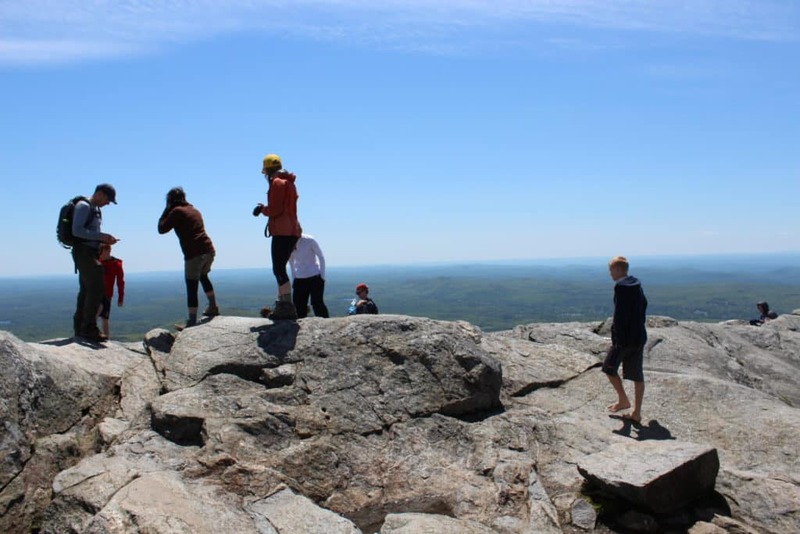 This entry was posted in New England, Peterborough, State Parks and tagged hiking, Mount Monadnock, New England, Southwest NH, Summer in New England by Meaghan Woods. Bookmark the permalink.